Our supplier sent us an extra box of roses by mistake. That sounds wonderful, but we have more flowers coming in and we won't have room to close the cooler doors soon! We sent out an email inviting you to stop in and pick up a wrapped dozen roses to give away as you saw fit. Give one to a Mom who's away from her kids, show a teacher your appreciation or just lift someone's spirits. We know you are wonderful and caring people and you will help us shower our community with love! The fine print: we need to send these out by Wednesday, so please stop in today (5/5) or tomorrow(5/6). We do have a limited supply, so when they are gone, they are gone... and we will have a LOT of happy people around us! Practice a random act of kindness today, then tell us about it by leaving a comment here or on our facebook page. Thanks... we appreciate you! Spring means new life, new growth and a new chance to thank Mom for all she's done for you. 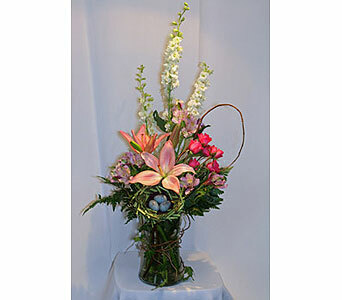 Show her your appreciation with a spring bouquet! 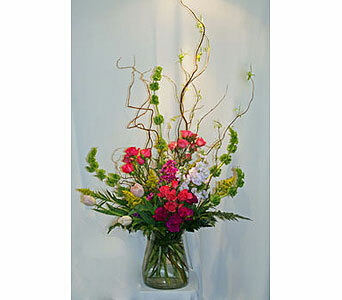 New this year, we are offering a "refill coupon" with select bouquets. 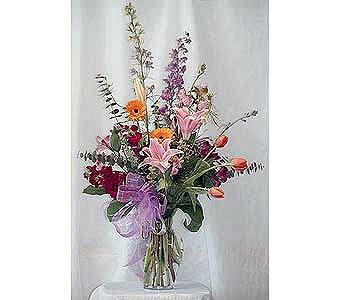 Add this option to your order and she can bring back her vase later to be refilled with the freshest seasonal flowers we have. What better way to keep thanking her in the days and weeks to come? 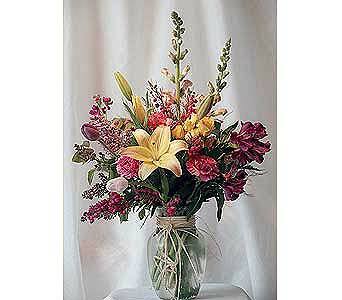 The refill bouquet will be made with our freshest seasonal flowers. It may not match original arrangement, but we promise that it will be beautiful! Spoil your Mom this year!